Pope Francis, the head of the Roman Catholic Church, will pay a visit to Armenia at the end of June, the Vatican and Echmiadzin announced over the weekend. 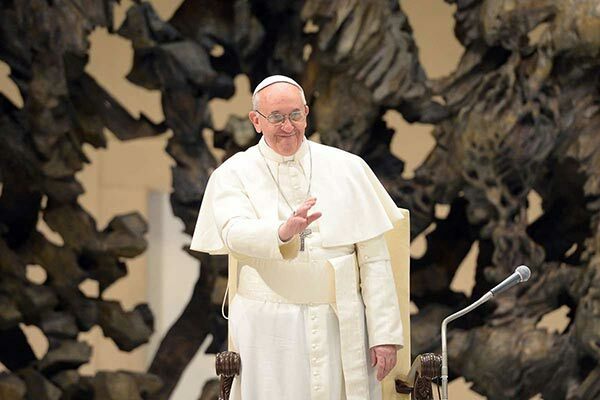 According to Radio Vatican, which cited the press office of the Holy See, the visit will take place on June 24-26. Francis’s visit will come at the invitation of Armenia’s government, the Armenian Apostolic Church and the Catholic Armenian minority. Holy Echmiazdin confirmed the report in a separate statement. Francis publicly reaffirmed the Vatican’s recognition of the Armenian genocide as in April 2015 he conducted a mass at the St. Peter’s Basilica dedicated to the 100th anniversary of the Ottoman-era massacres of Armenians. Turkey reacted angrily to his reference to “the first genocide of the 20th century,” accusing the pontiff of distorting history and recalling its ambassador to the Vatican in protest. A recent global survey conducted by WIN/Gallup International found that Francis is very popular in Armenia, with an approval rating of 75 percent. One of Francis’s predecessors, John Paul II, was the first Catholic Church leader to visit Armenia in 2001. He did so to attend celebrations held on the occasion of the 1700th anniversary of Armenia’s adoption of Christianity as a state religion. John Paul then issued a joint declaration with the then Catholicos of All Armenians, Karekin I, describing the 1915 Armenian massacres in Ottoman Turkey as genocide.